"Baby Birds Personal Checks" product is already in your cart. The beautiful images displayed on the Baby Birds Personal Checks will bring you up close and personal with Nature at its very best. These intimate photos depict a variety of birds with their young. Four displays showcase: a red bird perched on the side of a nest with little babies reaching up for food, a pair of blue birds with yellow chests hovering over their young, a pretty yellow bird feeding its baby and another pair of pale orange birds protecting their babies. 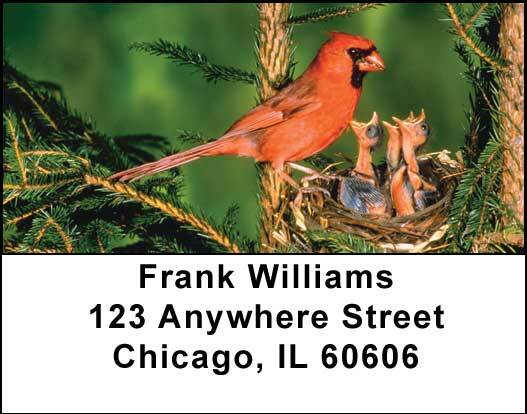 For those who are into bird watching or feeding the birds in their yards, these Baby Birds Personal Checks will be a hit.